Cooperation between Fetullah Terrorist Organization (FETÖ) and the PKK, before and after the July 15, 2016, defeated coup, is documented in the statements and actions taken by the two terror groups, according to information gathered by Anadolu Agency. Despite the fact that there are clear references to FETO in PKK terror group head’s book "Democratic Liberation and Building a Free Life", the opposition People's Democratic Party (HDP) leader Selahattin Demirtas complained that Ocalan's views on FETO were being misunderstood. "Sirri Sureyya Onder [HDP Ankara Deputy] met some [FETO] representatives; he was told that they didn't fully understand Ocalan's statement and felt uneasy," Demirtas said. About a senior PKK terrorist group member’s negative remarks on FETO, Ocalan said in his book: "We all should be careful with the language we use nowadays. When it comes to the community [FETO], we even proposed a democratic alliance in the Middle East, didn't we? “There won't be any hostility. Tell Gulen that I'm the best person capable of understanding him. Together, we could secure democratic consensus in the Middle East." PKK courier Hasan S. was found in a FETO safe house during a raid conducted by Sanliurfa Counter-Terrorism Police Department in April 2016. Hasan S. was held along with another terrorist Mehmet E., who was thought to be radical enough to carry out bomb attacks; five books along with files belonging to the PKK/KCK terror group and 77 other books linked to Fethullah Gulen, the U.S.-based leader of the Fetullah Terrorist Organization (FETO), were also seized from them. - FETO in PKK headquarters. Duran Kalkan, a member of the PKK's so-called executive committee, told one of the media outlets of the terror group in 2016: "I don't know how accurate it is, but according to speculations we [senior PKK officials] have heard, Erdogan -- Turkish president -- would be ousted. “We don't know who would do it or how," he said, while referring to the July 15, 2016, coup bid. Senior PKK terror group member Cemil Bayik told Cumhuriyet journalist Ahmet Sik in 2015 that FETO members wanted to get in touch with PKK ringleaders in Qandil Mountain, which has served as headquarters for the PKK in northern Iraq. "...However, we refused the interview demand. 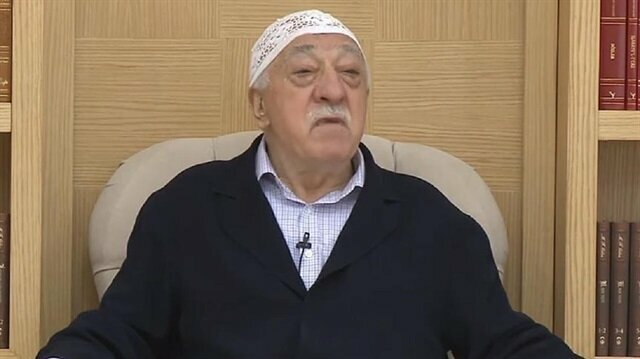 We wanted Fetullah Gulen to make a statement regarding Kurdish issue and change his attitude," Bayik said. The Parliamentary Research Commission, established to probe the 2016 defeated coup, also heard Police Chief Eyup Pinarbasi on Dec. 15, 2016. Pinarbasi said two policemen were martyred by PKK terrorists in 2016 while FETO facilitated PKK; he said the names and the serial number of the pistols of the martyred policemen were given to PKK by FETO. Moreover, it was revealed through Bylock -- the communication tool used by FETO members to remain anonymous -- that Vahide Kutkut, sister of a PKK bomber, worked for FETO. Aycil was said to have organized a bloody attack in Ankara that left 36 civilians held; he was later found be also responsible for FETO's arranged marriages, in which organization members marry from among themselves to keep their terror group activities hidden. Ismail Caglar, media director of SETA -- a think-tank based in Ankara -- pointed out that PKK terror attacks were halted during defeated coup. "Since FETO elements from the police force and Turkish Armed Forces were eliminated, counterterrorism success rate has dramatically increased," Caglar said. He added that FETO terrorists also leaked confidential information to the terror group PKK, which helped them evade raids. "When you have a look at the Operation Olive Branch and the previous Euphrates Shield Operation, the cooperation between FETO and PKK members is visible. “The language both terror groups use against Turkey is almost identical and in harmony," he said.